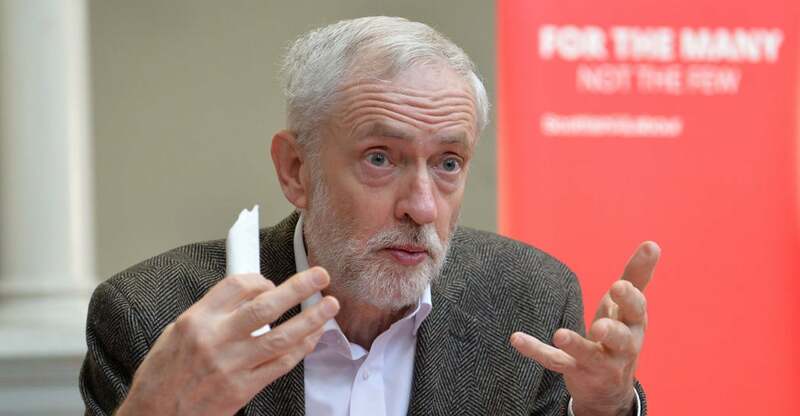 January 11, 2019 adminLeave a Comment on Jeremy Corbyn Has a Sordid Past. Now, He’s Closer Than Ever to Leading Britain. The Democratic Party is seriously flirting with socialism. It’s frightening on so many levels. If you want an idea why, take a look at my country, Britain. We tried “real socialism” two generations ago, and it was a disaster. Yet it has had a Lazarus-like revival in the U.K., inspiring the Democrats in America. Thanks to the Brexit crisis, that ’70s throwback leader of the Labour Party, Jeremy Corbyn, now has a very real chance of becoming prime minister. Believe me, it is one of 2019’s most chilling prospects. When I read Andrew Sullivan eulogizing the “logic and power” of Corbyn, I wanted to puke. What is it with sections of the media that they find socialism so seductive? Let me tear off their holiday gift wrapping. Corbyn is not leadership material. He grew up privileged at an idyllic countryside mansion, attending the kind of elite schools he’d abolish. Yet at 18, he barely scraped by with two E grades in his high school studies (that’s worse than a D by American standards). Only years later he took “trade union studies” at North London Polytechnic, leaving without a degree. Yet Corbyn has managed to achieve a “youthquake” in Britain, with 60 percent of 18 to 24-year-olds supporting him. They have turned this uniquely unqualified man into a lovable, cool, “cuddly lefty.” He promises young people what they most want—cheaper housing and the abolition of student debt. Both unrealistic. Supporting Corbyn requires a denial of history. The U.K. had “real socialism” in the ‘60s and ‘70s, and it failed. Income tax rose to 83 percent (98 percent on investment income), and high earners simply left the country. Tax revenue fell. Most large manufacturing industries were nationalized, and withered on the vine. Inflation soared. The resulting economic chaos required the International Monetary Fund to be called in. The pound bought the equivalent of 2.89 euros in 1964, but only 1.58 by 1979. Corbynites deny mathematics. Corbyn talks of only small tax increases, and yet simultaneously of spending 500 billion pounds. His last manifesto was described as a “letter to Santa Claus,” a sort of Christmas wish list. Corbyn’s team struggle to keep their numbers straight. His home affairs spokesperson, Dianne Abbott, stumbled through a interview in 2017 on police numbers: “We will recruit 10,000 officers” costing “300,000 pounds. … No, sorry, 10,000 officers, 80 million pounds. … No, 250,000 officers.” The interview collapsed. How about fearing these regimes’ appalling human rights abuses, and their support for terrorism? Shortly after Irish Republican Army terrorists blew up Prime Minister Margaret Thatcher’s hotel in Brighton, killing five and injuring 31, Corbyn invited an IRA delegation to tea. He agitated to release one of the bombers, just as he did for the terrorists who attacked the Israeli embassy in London. In 2009, he hosted a delegation from Hezbollah, referring to them, and Hamas, as “friends.” He gave more tea to a Palestinian Islamist who claimed “the Jews” were behind 9/11. Corbyn’s anti-Semitism is rarely off the front page of British newspapers. Consider his laying a wreath at the graves of the Munich massacre—the terrorists, not the victims, that is. He attended events organized by Paul Eisen (author of “My Life as a Holocaust Denier”), and on Holocaust Day in 2010 was even seen at “Auschwitz to Gaza,” an event that clearly equated the Jews with the Nazis. He even defended a wall mural that is one of the most anti-Semitic “works of art” I have seen. Jewish members of his own party have been subjected to the most horrific abuse from Momentum members. It got so bad that the three Jewish newspapers in Britain ran identical covers, calling Corbyn “an existential threat” to Jews in Britain. If the Democrats are seeking inspiration from Britain, forget it. Corbyn is worse than anything we had in the 1970s. He adds a Hugo Chavez-style, rule-bending twist. Think one-off taxes on cash deposits and controls on how much money you can take out of the country. Meditate on his comments post-9/11: “We have to look to the causes of this act. … A quarter of the world’s population is in poverty.” 9/11 was caused by world poverty? Cuddly lefty? No. A disaster waiting to happen? Absolutely.